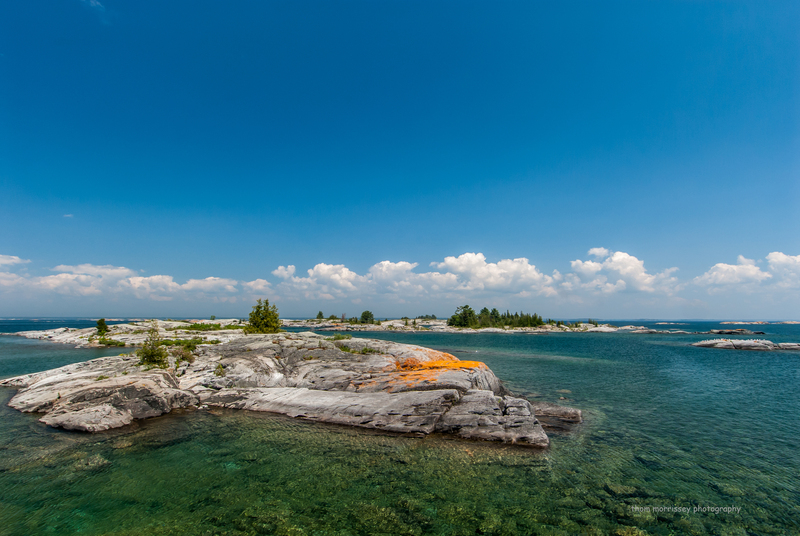 Our biosphere reserve encompasses the eastern coast of Georgian Bay and stretches approximately 175 kilometres from the Severn River to the French River. This part of Lake Huron contains the largest collection of freshwater islands in the world. 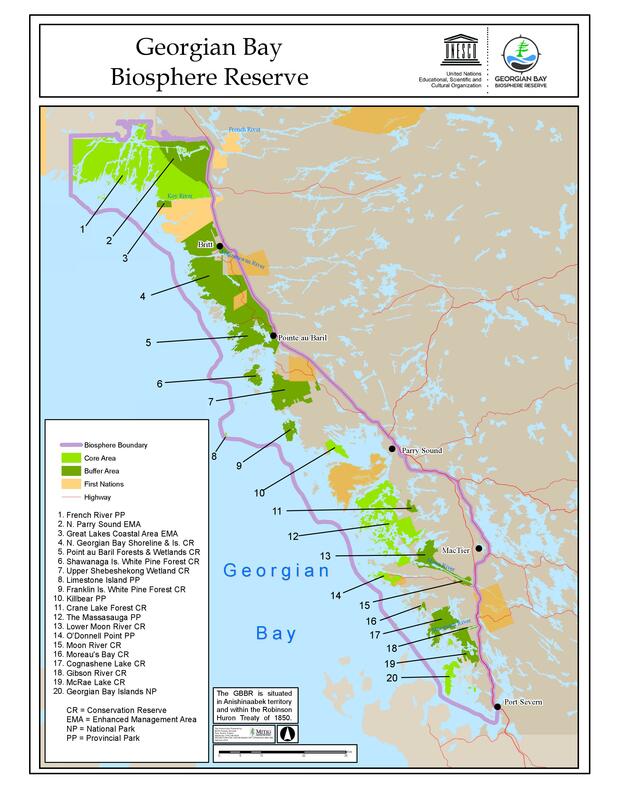 The Georgian Bay Biosphere is a UNESCO biosphere reserve and is situated within the Robinson-Huron Treaty of 1850 and Williams Treaty of 1923, and located on Anishinabek territory. We are grateful to work with First Nation communities and all Indigenous people in this area and acknowledge their ancestors as caretakers of the air, land, and water. We support the United Nations Declaration on the Rights of Indigenous Peoples in this territory and work towards respectful and reciprocal relationships. Learn more under our Cultural Resources. Known locally as “the 30,000 Islands” Georgian Bay is an important area for migratory and island-nesting birds, rare species and their habitats. The area is home to 840 native plant species, 170 types of breeding birds, 44 mammal species and 34 species of reptiles and amphibians. However, 50 of these are species at risk due to human development, invasive species and climate change. 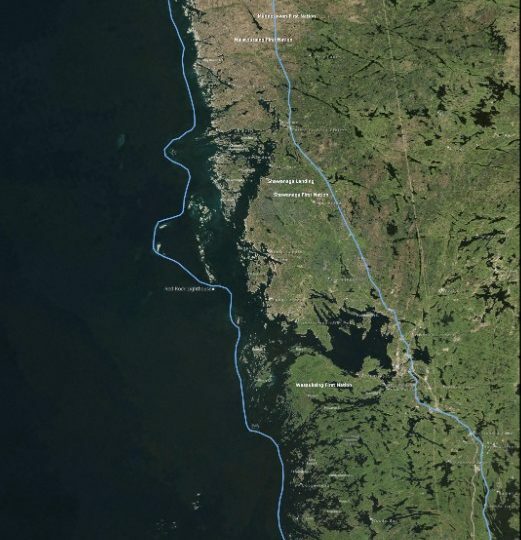 Since time immemorial the Anishinaabe people of Wasauksing have utilized Georgian Bay, along with its many associated waterways. These waterways served as the highway for trade, and travel between the families of the area at the time. 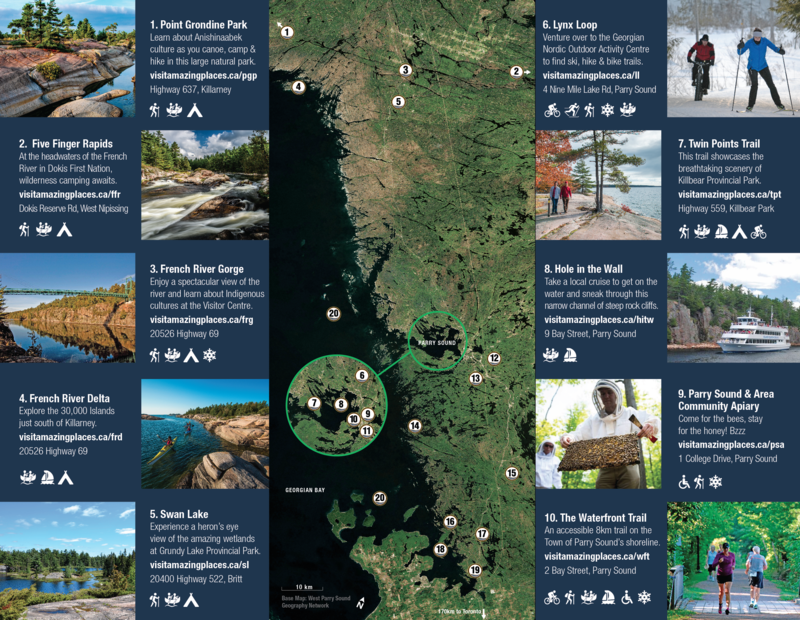 The area spanning from Port Carling to the shores of Sandy Island down to the Moon River on Georgian Bay, would be accessed for different activities throughout the year. These activities would include agricultural work and the gathering of berries, fish, wild game, medicines, and trade. When different areas of land were accessed or resources were gathered, thanks and gratitude would be shown with traditional ceremonies. The living connection between the people, the land, the air, and the water was respected and treated with the utmost importance. With proper respect, the abundance of resources would be sufficient to provide well into the future. The view of the Anishinaabe people is the same to this day. The vast history of our people in the area shows Georgian Bay’s importance to our communities and to our culture. It is with this knowledge that we must stay respectful, educated, and maintain the health of our water and the creatures therein. Miigwetch. Core areas are legally protected. Residents to visitors each season. The Canadian Biosphere Reserves Association (CBRA) is an association of Canada’s 18 Canadian biosphere regions. Over 2.3 Million Canadians live in UNESCO designated biosphere regions, and many of these residents develop and promote innovative approaches to conservation and economic development. Canadian Biosphere Region communities live and work in balance with the biosphere; the land, water, and atmosphere that support life. People in biosphere regions recognize that high-quality economies require high-quality environments, and that conservation is important to both goals. For more information about biosphere regions in Canada, read their Frequently Asked Questions.  Since 1970, the United Nations Educational, Scientific, and Cultural Organization (UNESCO) has administered its Man and the Biosphere Programme with now over 600 biosphere reserves in 122 countries. Each site supports “science for sustainability to understand and manage changes in the environment”. Biosphere Reserves are nominated by national governments and driven by community partnerships. View a complete listing of Biosphere Reserves around the world. Biosphere reserves support stakeholders in conserving biodiversity, restoring and enhancing ecosystem services, and fostering the sustainable use of natural resources; contributing to sustainable, healthy, and equitable societies, economies and thriving human settlements in harmony with the biosphere; facilitating biodiversity and sustainability science, education for sustainable development and capacity building; and supporting mitigation and adaptation to climate change and other aspects of global environmental change.